Robin and I made our first trip to the city of Birmingham, MI, and it was gorgeous! There were so many open-air restaurants, bands playing, fountains, gardens, and smiling faces, it would have been hard not to love it! 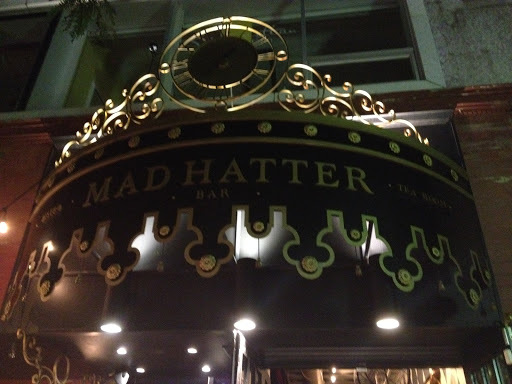 We started the evening exploring the city, and we saw at least 8 places we wanted to try, but finally settled on a cute little Alice in Wonderland themed restaurant called the “Mad Hatter”! This post contains affiliate links, meaning that if you click on a link and make a purchase, I may make a (very) small commission. The revenue generated from this helps maintain my site and allows me to continue creating beautiful content for you. Any items marked “c/o” means they were given to me to review, style and share with you. 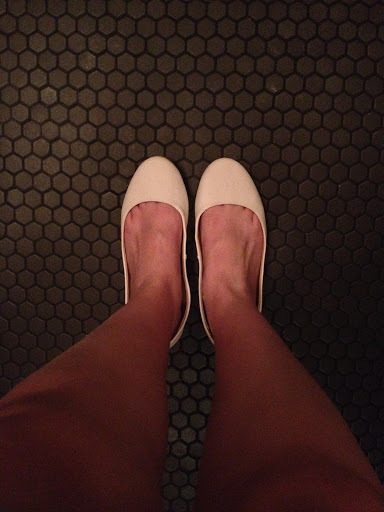 Know that I never link to items I don’t absolutely love and highly recommend to you – thank you! I love the colors on this dress, it’s so flattering! 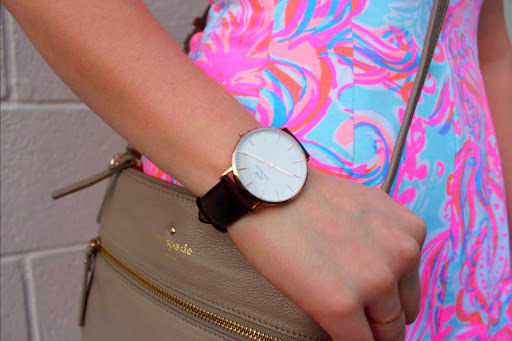 Use my code “ANNIEWEARSIT” and get 15% off your purchase of Daniel Wellington Watches! We dined outdoors once the sun went down, and had the patio all to ourselves! Everything sounded amazing, plus they had lots of vegetarian options! 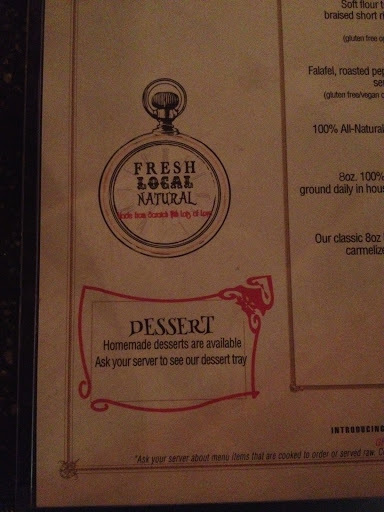 Everything they served was locally sourced! The floor inside was so cool! It was shimmery black and grey hexagon tiles! 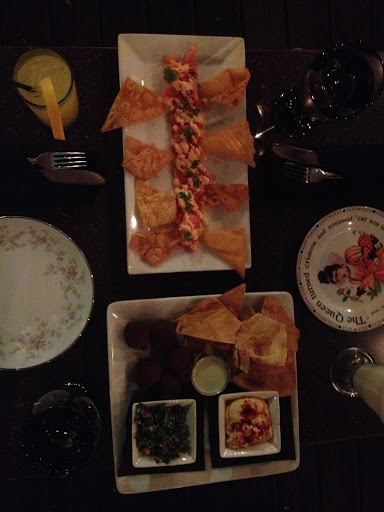 We ordered the Ahi Tuna Tartarre, Artichoke Dip, Down the Rabbit Hole, a salad, and a few drinks. Everything was delicious, and tasted so fresh! We will definitely be going back! The front sign was really cool too! It was difficult to get a good picture at night, but the details of the restaurant were stunning! I had no complaints from here, and the staff was awesome too! 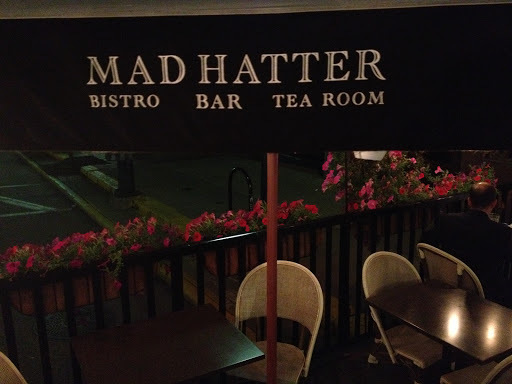 If you’re ever in Birmingham, MI, I highly recommend the Mad Hatter! This is so cute 🙂 love the accessories! 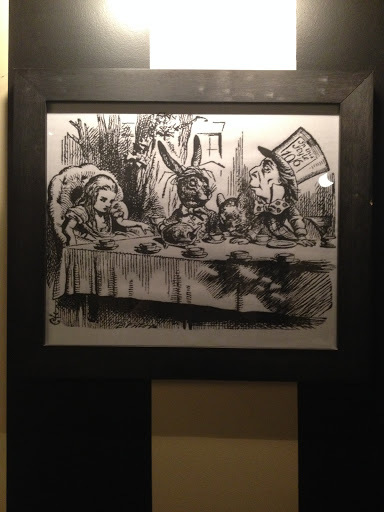 Oh my gosh, an Alice in Wonderland themed restaurant? That sounds adorable! 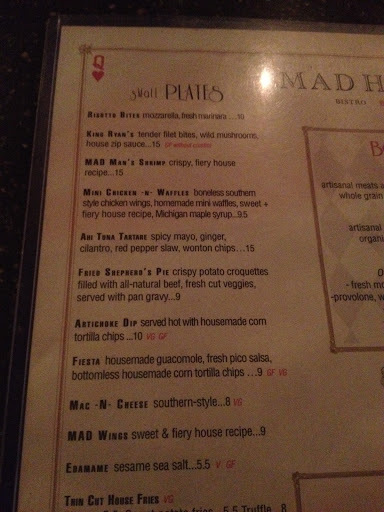 Definitely on my list if I’m ever in Michigan! Also, your hair color is gorgeous! Loveeee the colors in the dress! Also love the way you have the photos styled, taken, and incorporated into your blog post! ?? Congrats on your new site! It looks beautiful! Love love love that dress!! This is adorable, I love your dress! This dress is awesome on you! How do you feel about wearing your bright LP stuff in the fall? I’m a Pennsylvania girl and am hesitant to bust out the bright prints at this time of year! I’m so sorry I missed your comment earlier! I think if you’re comfortable wearing bright colors all year, go for it! I personally do it, especially with knit dresses, tights, and boots paired with a vest, and I think it helps brighten up a dull Michigan winter! Thank you so much for reading my blog and taking the time to comment, I sincerely appreciate it! Love your new website! 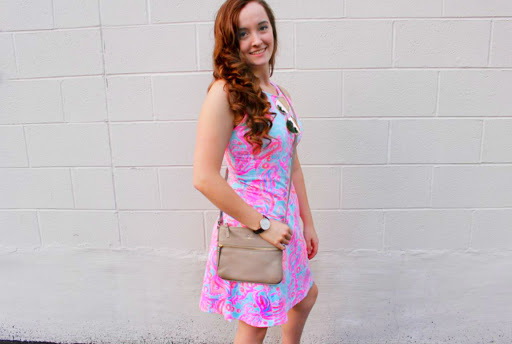 I follow you on Instagram and love seeing how you style your fun outfits! I’m sorry for the late reply, I didn’t see the notification! Thank you so much!! I’ve been posting a LOT lately, so I hope you’re liking the new content too! If you have any requests or recommendations, please let me know! Thank you for taking the time to read my blog and comment, that means so much to me, truly! A Nautical Striped Ruffle Tee for Spring!